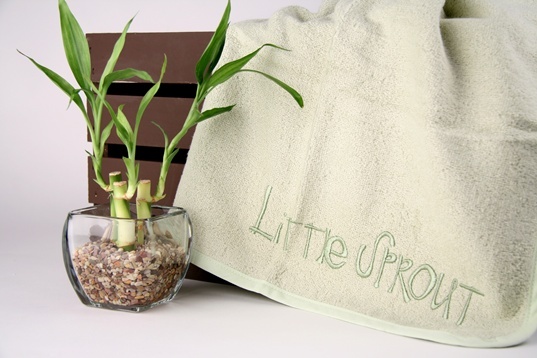 Are you looking for the perfect earth-friendly baby shower gift? Maybe you’re starting to collect ideas for holiday baby gifts? Either way, the beautiful BabyBam Collection has got you covered. Or to be more accurate, the BabyBam Collection has got that baby you’re thinking of covered (and lathered) with their wonderful bamboo and organic cotton clothing sets, bamboo soaps, and organic balms. Jody, a nature lover, designer, and more importantly, a mama, had been searching for eco-friendly and beautiful baby items, but couldn’t find any that would work with both her children’s sensitive skin. Frustrated, she started collecting ideas for earth-friendly baby products. When she came across bamboo, it was love at first sight, and the BabyBam Collection was born. Bamboo is naturally hypo-allergenic and antibacterial, so it helps to prevent odor, allergies and skin irritations. Bamboo is a naturally moisture wicking material, so it keeps babies warm in cool weather, but breathes and keeps them cool in warm weather. Plain cotton fabric can’t protect baby’s skin as well. Bamboo is also a sustainable material; and it’s currently abundant and grows well on its own. This soap looks as delicious as whipped cream! Of course it’s for lathering not eating, but still: yum. This pure, mild castile Little Lathers Soap is handcrafted with saponified, cold-pressed olive oil, wild yarrow, organic calendula, organic aloe, saponified castor oil, and pure essential oils of lavender and sweet orange. 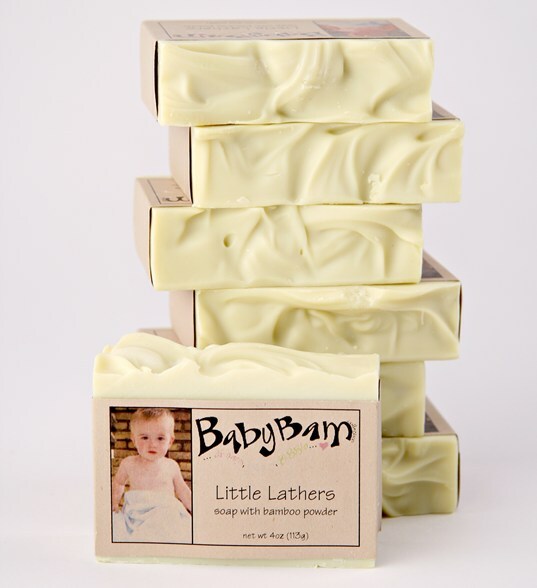 It’s perfect for sensitive baby (or adult) skin and nursing mamas. The soap is also biodegradable, vegan, and cruelty free. There’s also a Lavender Blissful Balm. This handcrafted balm can be used to soothe a sore baby bottom, chapped skin, and even flaky scalps. It’s made with organic olive oil, wild yarrow, organic calendula, beeswax, lavender essential oils, sweet orange essential oil, vitamin E, and tapioca starch. When you add all the BabyBam Collection items together, you get some lovely gift baskets for the holidays. For example BabyBam Collection offers a Seedling Set complete with a Little Lather Soap, Lavender Balm and ‘the world awaits’ onesie; all wrapped prettily in an eco-friendly gift bag. Or, you could go with the Snoozy Set which comes with both the cozy bamboo and cotton towel, plus bamboo and organic cotton pajamas. Many eco and baby friendly gift sets are available, just in time to make your holiday shopping a one click snap. Are you looking for the perfect earth-friendly baby shower gift? Maybe you're starting to collect ideas for holiday baby gifts? Either way, the beautiful BabyBam Collection has got you covered. Or to be more accurate, the BabyBam Collection has got that baby you're thinking of covered (and lathered) with their wonderful bamboo and organic cotton clothing sets, bamboo soaps, and organic balms.